Pictured above, we see the system architecture for S-World Networks System Core. 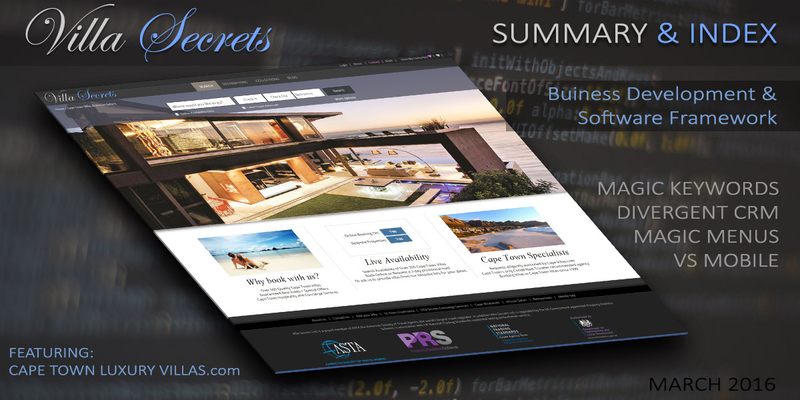 We are currently working on the first component, the Villa Secrets Software Framework. Due to the ‘Magic Keywords’ software, despite having no links or local SEO, Cape Town Luxury Villas gets a considerable amount of free organic traffic from Google and Bing for long keyword searches, bringing in 25% of enquiries. VS Mobile is a stunning mobile website, that looks and functions like an App, created on the words most stable mobile platform JQuery Mobile. This project is 75% complete. When complete, the cost for adding VS Mobile to Cape Town Luxury Villas is $8,700. This page presents a spreadsheet that shows the 93 different components within the Villa Secrets software, which when combined increase profits by 400% over three years. Cape Town Luxury Villas is an OTA (On-line Travel Agent) specialising in hi end vacation rentals in Cape Town, South Africa. The perfect formula for any franchise or outright purchaser, a business that can be taken over without concern about the effects of the CEO’s direct influence. Indeed this has been grooved twice, as since Feb 2016 a new management team have taken over and to date the new team are doubling both turnover and profit. However, so far, we only have half the story, as the software and systems that have been specified and are in the development queue, VS Mobile, Magic Menus and the 93 profit increasing features within the Divergent CRM are reasonably presented as able to increase profits by 400 over 3 years. Be it as a franchise or a independent company with access to the software updates, the future for Cape Town Luxury Villas.com is very bright indeed. When considering the above, one needs to understand the non profit – reinvest into technological development model of Villa Secrets. As the Villa Secrets network is a prototype for a the S-World network described within ‘The Theory of Every Business’ All franchisee fees are spent on development. The bigger the network, the more development and the more development the greater advantages the individual companies within enjoy. As Cape Town Luxury Villas , was created from the website CapeVillas.com and includes it’s sizeable portfolio of properties, Cape Villas history and the history of Cape Town Luxury Villas developer Nick Ray Ball are relevant. Development stared in February 2013, at first a complete copy of Cape Villas.com was created. After which every line of code was re written according to Googles SEO guide, which included making the software ‘Magic Keywords’ a new Content Management System and a much improved product display. Web development took 1,673 hours which is valued at $95,000. This page presents Cape Town Luxury Villas 2015 financials and 2016 management accounts. In 2015 Cape Town Luxury Villas recorded an income of $650,000, with Share Holder profit for 2 directors of $72,000. So far in 2016 figures are greater. Be it as a franchise or outright, Villa Secrets is considering selling Cape Town Luxury Villas. This page looks at 10 considerations by Aldes Atlantic Cape Town. Aldes.co.za are the leading business brokers in South Africa. On this page consider we consider and answer the points made on webpage:’10 Ways to maximize the value of your business‘ by Aldes Atlantic business brokers. In 2004 Cape Villas.com recorded significant income, and Nick Ray swopped hats from web developer to operational CEO. By 2007 Cape Villas became the undisputed market leader and had the largest portfolio of villas in Cape Town. However, by 2011 the lack an efficient CRM or financial systems became a source of great frustration to Nick Ray. But before starting on the actual development, a very detailed business development plan was created on the websites: S-World.biz & American Butterfly. Presented in meticulous detail over 19 pages, including many videos on specifics. However for speedy reading each page has as a headline and a short description, as seen below. Born in Belgravia London in 1971, Studied Photography but worked as a Cubase programmer until 1999 when he visited Cape Town, bought an apartment, villa and decided to swop fields to Web Design & Development. Nick has since gained Experience in: System Architecture, Villa Rentals & Marketing, alongside creating a stellar network hypothesis. The combination of all his skills make him uniquely qualified to build a next generation software system for the Vacation Rental industry. First programmed code at age 11. Developed the world’s first Virtual Tour in action script in 2002. 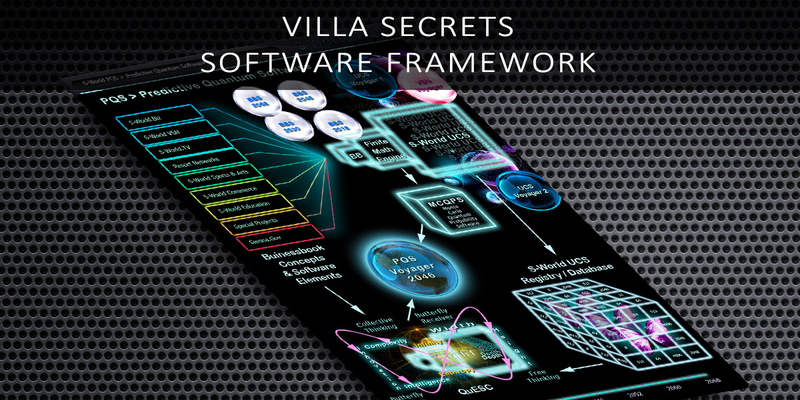 Started the Villa Secrets Network – Software Framework in 2011. 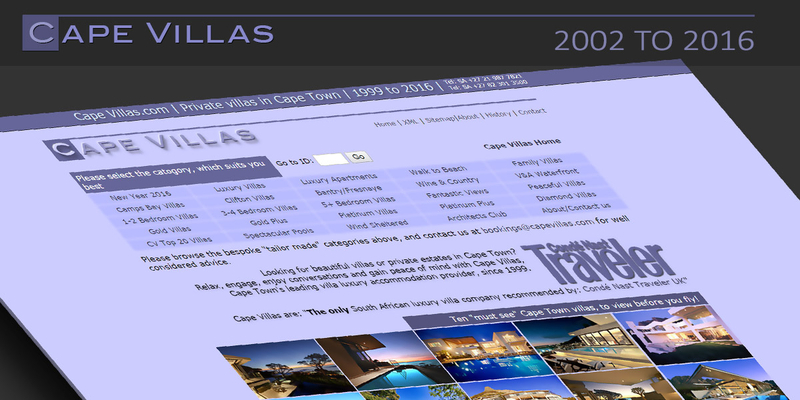 Founded Cape Villas.com in 2000, which became the market leader up to 2010. Released Cape Town Luxury Villas.com in 2014. Coming soon Villa Secrets.com V2. First mastered SEO in 2001, PPC Marketing in 2002, Affiliate Marketing in 2005, Content Marketing in 2008 & Branding in 2009. Now all are used collectively. 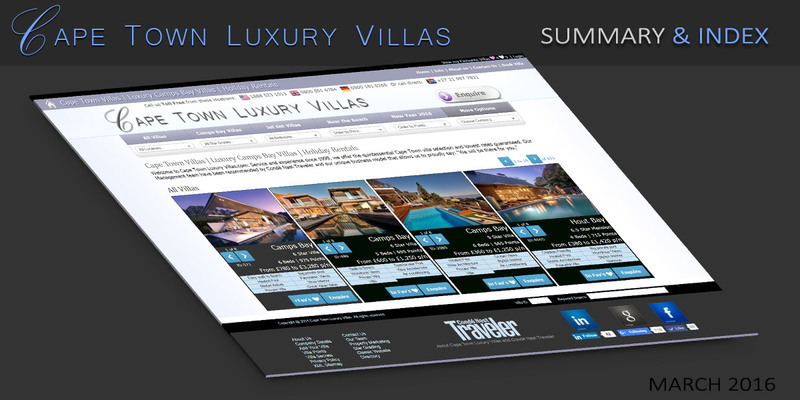 Villa Secrets exists to promote and improve the businesses within its network. It currently operates in a non-profit capacity, dedicating all income to development. 10 Points to Consider when Selling a Business. To raise capital for software development, Villa Secrets is considering selling CTLV. This page looks at considerations by Aldes Atlantic Business Brokers. 10 Ways to maximise the Value of your Business. More considerations from Aldes Atlantic, highlight the continued access to the Villa Secrets Network’s Software Framework, after sale, as a unique advantage. Using 4 different methods, the average valuation including assets is $700,000. The for-sale price, is offers over $230,000 plus same, for future VSF software updates. Pictured above we see ‘The PQS’ the S-World Network system core. We are currently working on the first component, the VSF Software, the Villa Secrets Software Framework. Due to ‘Magic Keywords’ software, despite having no links or local SEO, CTLV gets considerable traffic from long keyword searches, bringing in 25% of enquiries. b. Stunning mobile website that looks and functions like an App, created on the words most stable mobile platform. 75% complete. Cost for adding to CTLV is $8,700. The VSF Software: Magic Menus, VS Mobile, the Divergent CRM & PMS API’s will cost $229,000 (8% of its development cost). Paid over three years after deployment. 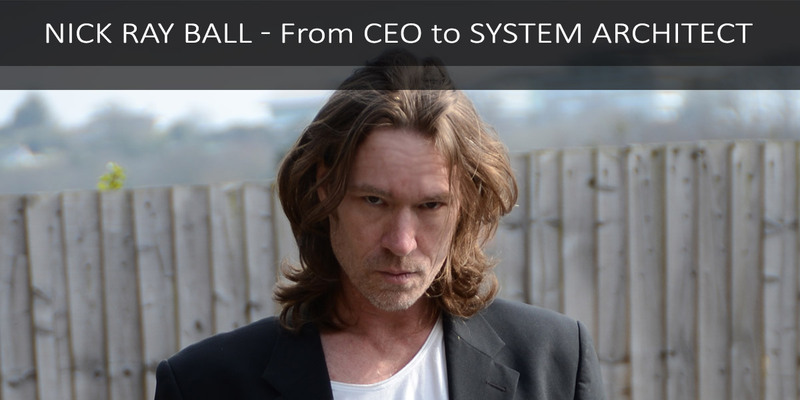 Nick Ray Ball – From CEO to System Architect. Born in Belgravia, London in 1971, worked as a programmer and web designer until 2002, when he became CEO and marketer of Cape Villas.com. In 2011 Nick Ray retired to focus full time on the design for Software & Systems that would improve the business. The combination of his experiences make him uniquely qualified to build a next generation software system for the Vacation Rental industry. Nick Ray Ball was Born in Belgravia, London in 1971, worked as a Cubase programmer until 1999 when he swooped to Web Design & Development. Nick Ray has Experience in: System Architecture, Villa Rentals & Marketing, alongside creating a stellar network hypothesis. Development stared in February 2013, at first, a complete copy of Cape Villas.com was created. After which every line of code was re written according to Googles SEO guide, which included making the software ‘Magic Keywords’ a new Content Management System and a much improved product display. After a year of work, including a API link to the Razor Property Management System, an up to date and more attractive version of the website was created, which became an instant success when launched in March 2014 and in 2015 Cape Town Luxury Villas.com (CTLV) generated a turnover of over $600,000 (ZAR 9,115,000) with gross profits of $105,000 (ZAR 1,434,000). 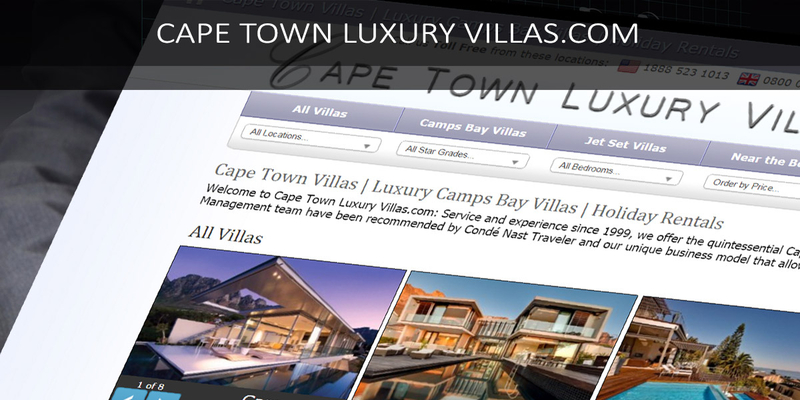 The marketing for Cape Town Luxury Villas.com (CTLV) was primarily Google AdWords, which due to Nick Ray’s 11-year experience with AdWords on CapeVillas.com meat he succeeded where others did not. To Date the AdWords cost is $18,500 (ZAR 280,000) which generated about $73,000 (ZAR 1,004,000) of CTLV’s gross profit. With a turnover of over $600,000 (ZAR 9,115,000) Cape Town Luxury Villas has done well, and surprised all the big players in the industry. However, it is the future of CTLV that is most exciting. CTLV is owned by Villa Secrets ltd. But is independently managed. In 2015 by ‘Cape Luxury Accommodation’ and in 2016 by ‘Cape Villas.com’ who pay 25% of gross profit, which is (about a 4.5% of income) to Villa Secrets. Which gets used for development. Villa Secrets is for all intents and purposes a non-profit company, that invests all income into creating better software and marketing opportunities for its partners. The more money Villa Secrets make the better the software and opportunities are for its network. Villa Secrets are embarking on a software development project that will take three years and cost at least $3 Million. Some of which will be generate by the sale of Cape Town Luxury Villas.com, and the rest from creating new Villa websites internationally and in Cape Town create a network of in complimentary niches. Such as Safari Bookings, Real Estate Sales, Property Management, Film and Resorts. Cape Town Luxury Villas will be sold, as a member of Villa Secrets, in a similar method as franchise, but instead of a franchise fee, the contribution of 15% of GP rising to 25% of GP will be spent on improving the profitably of Cape Town Luxury Villas.com and the greater network. We call the business methodology: ‘Boost it!’ and it is underpinned by some fiendishly complex mathematics. Initially, the contribution will be spent directly on boosting the GP of CTLV, by different direct marketing methods. 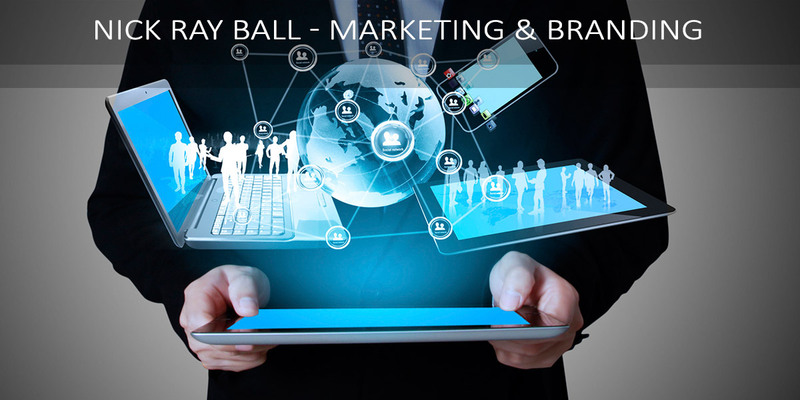 Then after a set GP point is reached, the contribution will be spent on a combination of boosting factors: The development of software, staffing for media and content marketing, guests gifts and various network expansion exercises. Another method, which becomes available to a team that contains a good sales person, is that CTLV, as the principle villa rental agency in the Cape Town Villa Secrets network will receive the enquiries form the Villa Secrets website, this alone could immediately increase revenue by 100% and more and increase the likelihood of gaining property mandates. Then comes the Cape Town network, which is currently being considered as: An Architect, a Villa Hotel management company, a Real Estate agent, a Safari specialist an Apartments specialist, an International Luxury Villas company and an internationality recognised Brand. At the last count this union creates 31 distinct reasons why CTLV will increase profit. Note the ‘ϻ’ at end, that stands for ‘Available Market share’ this tells us is that boosting a single company continuously is not always the best way to higher profits, instead in some or many cases its better to use the most economic boosting methods in one location then expend to a new location. At a set point of Gross Profit of between ZAR 5,700,000 & ZAR 7,600,000. (a 400% to 530% improvement on 2015). All additional profit, and all of the 25% contribution to Villa Secrets is used to create either a second Villa Rental company in a different location, a company is a different niche in the same location or as has had thousands of hours of consideration, create a resort development. This ecologically friendly venture was macro economically (in a big way) described in 2012, within the book ‘The Theory of Every Business‘. And as is now micro economically (in a small way) described as a collection of 8 beach front super-villas and a 7 star hotel designed by Stefan Antoni in Koh Samui, Thailand. No matter where we build or how small or large the development, our ace in the hole, will be the ability for the Villa Secrets network, to boost and market the villas. Achieving excellent rental returns and selling at a premium due to the position and quality of the architecture, the rental return and the collection of realtors in the network. Lastly it worth mentionaing that as the Villa Secrets network prototype, I have a a great desire to see Cape Town Luxury Villas.com do as well as possible, as it sets a president for all other Villa Secrets ventures. ‘We build the products that we want to use ourselves’, Bill gates see: Bill Gates and Steve Jobs interview. After 8 years struggling with systems not compatible with the villa rental industry, and in particular financial systems Nick ray Ball created a development plan for software that would revolutionise the industry. It started in 2011 with a networking plan for Virgin Group that included, a multi website system, interlinked to GDS’s and PMS to provide inventory, a customer orientated CRM, that went as far as sending presents to previous clients. All tied together with automated financial software that was error free and provided perfect management accounts and forecasts for managers and CEO’s. First mastered SEO in 2001, PPC Advertising in 2002, Affiliate Marketing in 2005, Content Marketing in 2008 & Branding in 2009. Now all are used collectively. To date the most financially successful marketing endeavour undertaken has been the creation on Cape Town Luxury Villas.com. Cape Villas made a greater income, but this was created over time within a high service cost model. On the Other Hand, Cape Town Luxury Villas.com (on its second release) was instantly successful and had a far more economic model. 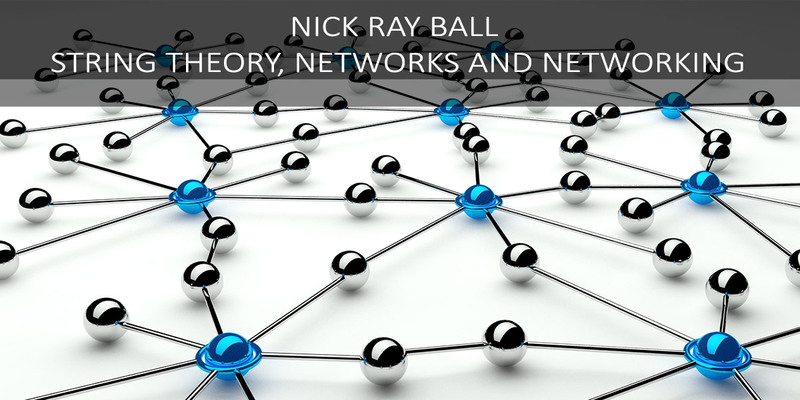 Since 2009 Nick Ray Ball has focused on complex marketing strategies, entangling such strategies into the design of the S-World and Villa Secrets Network.